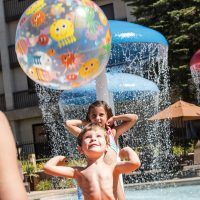 Located just 10 minutes from Copper Mountain, Crystal Peak Lodge is a great option for families looking for large accommodations and a warm environment. 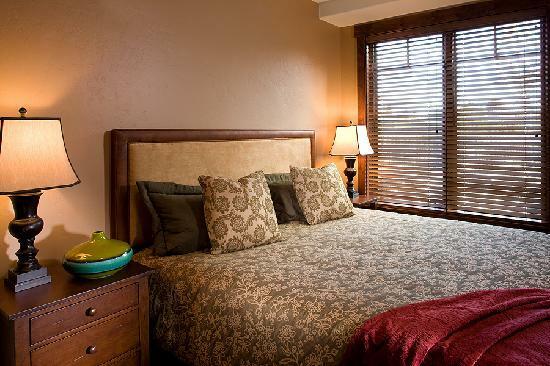 Enjoy one of the 45 suites, which can sleep up to 10 and include amenities like kitchens, sofa beds, refrigerators, flat-screen TV’s, free Wi-Fi and separate living, dining and sleeping areas. Cribs and rollaway beds are also available upon request. 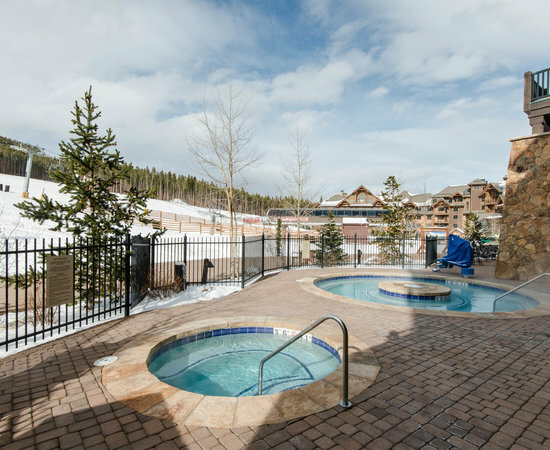 The lodge has heated, underground parking, a shuttle to the downtown area, an outdoor area with hot tubs and fire pits and onsite dining. The restaurant Sevens is open for breakfast, lunch and dinner, from 8 a.m. to 9 p.m daily. 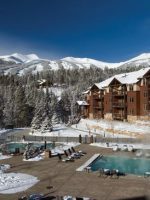 We have been to Breck and many other mountains (Copper, Vail, Banff) for ski vacations many times over the past 20 years. 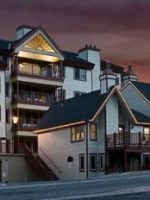 This one is my absolute favorite places to stay at Breck for several reasons. Our room (7106) is on the Main Floor, two doors down from the ski locker room and three doors down from ski rental. So....less walking with those heavy ski boots on. The condo we rented has a kitchen and bar with one bedroom, a folder out couch in the living room and two bathroom. Our college-aged son had his own (large) bathroom with a large shower, while our bathroom was large with both a shower and a tub, and plenty of storage. Location. Location. Location. We stayed for a week in unit 7208. 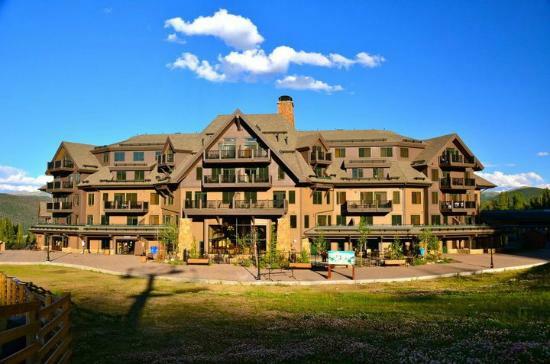 It’s a 2 bedroom unit and is very nice. 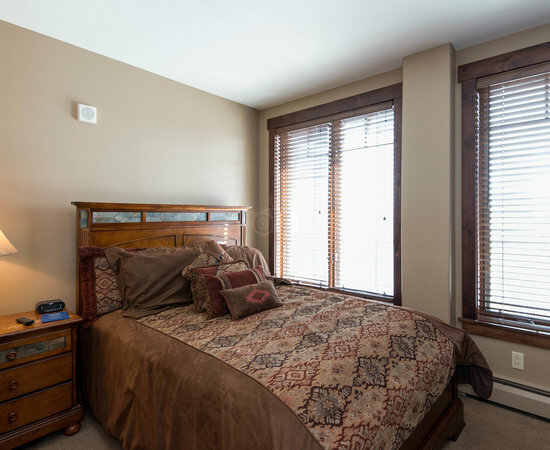 The bedrooms are both really small, have to turn sideways to walk around the bed. The beds were comfortable and the kitchen is huge, really huge. The problem is that the cabinets are virtually empty. Very little in the way of dishes, cutlery, pots and pans, etc. They could upgrade for sure. The washer and dryer were nice to have and they provided detergent which was nice. The location of this property is fantastic. 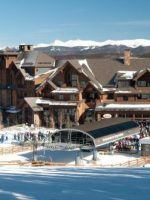 Walk out the back door (ski lockers) and step onto Peak 7 lift or walk 100 steps and get on the gondola to Town or Peak 8. Nice rental shop in the building also. The problem is lack of amenities. No restaurant, no bar and even worse.... no valet or bell man. When we got dropped off at the front door there is a long flight of stairs to get to the lobby. We had all our luggage, food and liquor to bring in. There is no one to help and they do not allow you to use the lift for this since it’s “only for handicap use”. The poor guy at the front desk offered to help but there were people checking in and he looked overwhelmed as it was. He told us our driver could have dropped off everything in the garage that has an elevator after we checked in but that was way too late. This is a really expensive place to stay they need to provide bellman. I’m getting too old to schlep bags and food. The Breck shuttle was good and provided free (tip only) to Town and pick up after.